Join us to learn skills in flag performance, enjoy small group lessons, and the fundamentals of dance! No previous experience is required! All participants will have the opportunity to march in the Three Rivers Festival Parade, the largest festival of its kind in Northeast Indiana, on July 13. 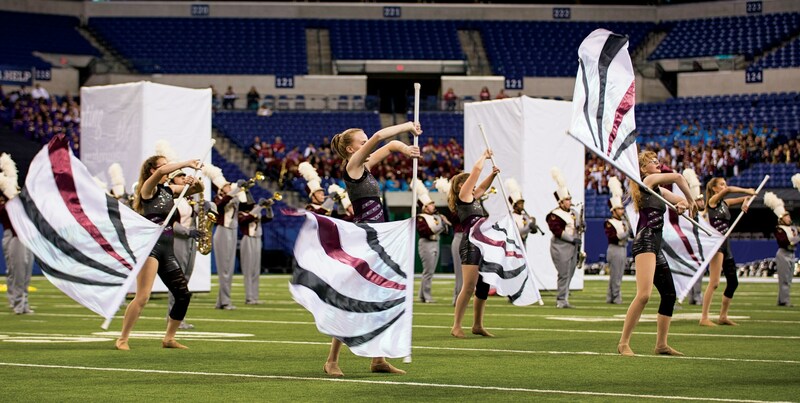 Led by Concordia’s Color Guard instructors and student leaders of the Concordia Lutheran High School Color Guard Program, the Junior Cadets Color Guard Camp is a rewarding, challenging experience for those looking to grow in their dance, equipment, and physical skills. The goal? For you to give God the glory, to have a terrific time, to grow in new friendships, performance skill, and to march and perform in the Three Rivers Festival Parade. You will receive a t-shirt, all necessary equipment, instruction and leadership for the 9 sessions, daily snacks, and awards. Times: 1:00 to 4:00 p.m.